Peter Breitnauer was sentenced to one year probation and fined $1,000 for stealing prescription painkillers from a drug drop box. Peter Breitnauer, who retired following his arrest last October, was a 34-year veteran of the force, the last six as chief. He was also a former firefighter, according to his attorney, Tom Eoannou. Breitnauer admitted to stealing hydrocodone pills from a dropbox at the Kenmore Police Station for his personal use. FBI agents found more than 100 pills in Breitnauer's office closet. At the time, he said he was addicted to the painkillers. However, on Wednesday, Eoannou said his client was not addicted, but used the opioids after several surgeries when needed for pain. Along with probation, Breitnauer, 68, will have to pay a $1,000 fine and attend a substance abuse program. He will have his record expunged if he successfully completes his probation. 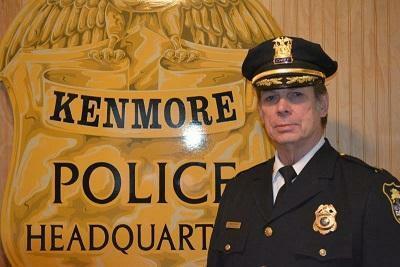 Former Kenmore Police Chief Peter Breitnauer entered a guilty plea in federal court Thursday to stealing painkillers from a community dropbox.